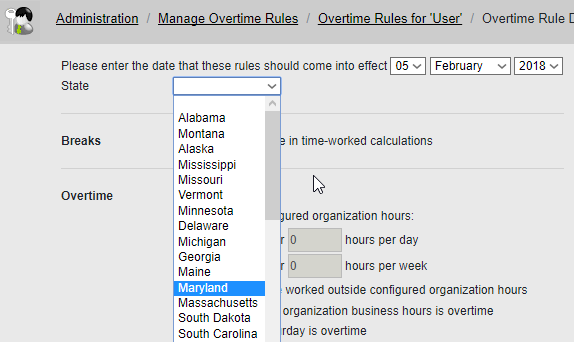 We are very excited to show you this new feature where you can set overtime rules that will be automatically applied to the state the employee is in. Keep in mind that for this to work properly you must have uploaded tasks with addresses, since these are the ones that will be considered to determine which state the employee clocked in at. 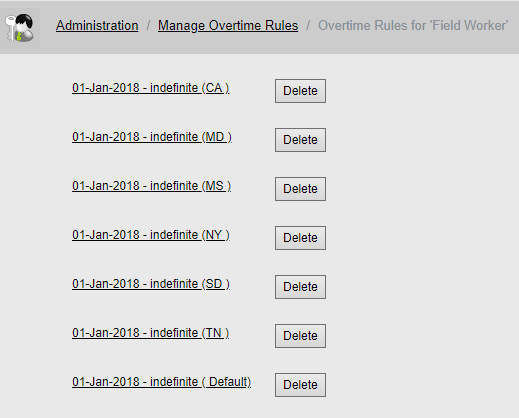 If tasks have no addresses, then the default overtime rule will be applied (assuming one has been created). 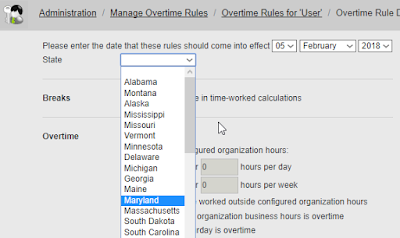 Click on "Enable State Based Overtime Rules" and then select "Save". Notice the section called "Only Include Regular Hours in Overtime/Extratime calculations". This is needed in case the overtime has to be calculated only using the regular time portion of each day. Also, you can setup either daily hours, weekly hours and even set a point in the week that will be considered overtime if the employee has worked a specific number of consecutive days. Once you are happy with the rules you created, you can click on "Submit". 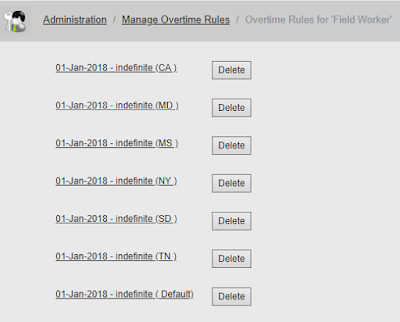 When you go back to the Manage Overtime Rules section and click on "Field Worker, you will see all the rules that you have created. That's all for now! Remember to leave us any questions in the comments section.